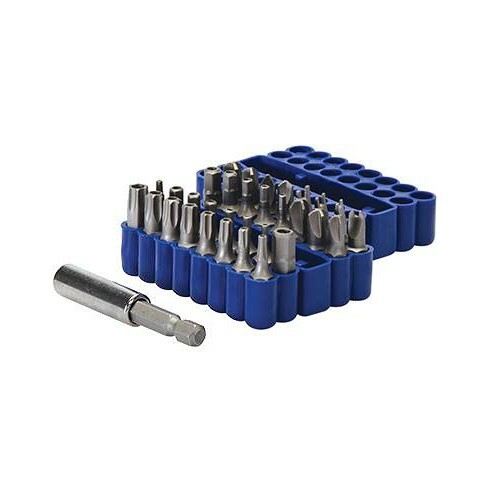 Brand New Security Bit Set (33 Pieces) Chrome vanadium. Compatible with most tamper proof fasteners. Magnetic bit holder, torq-set bits, spanner bits, tri-groove bits, hex bits and tamper proof star bits.